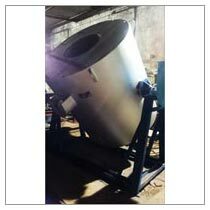 We are a reputed Manufacturer, Supplier and Exporter of Fuel Furnace from Mumbai, Maharashtra. To cater to the divisive needs of our customers, we offer an assortment of Fuel Furnaces like: oil fired furnace, dual fuel furnace and gas fired furnace. Inexpensive, easy to operate and efficient running are some reasons why customers all over the world prefer our Fuel Furnace. Customers can get in contact with us for premium quality Fuel Furnace at affordable costs.